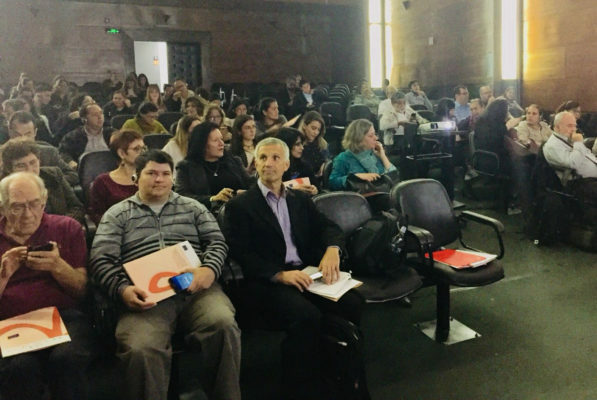 Nearly 100 people shared knowledge and good practices around the most relevant approaches on the generation and disaggregation of data and indicators for the inclusion of people with disabilities during the Bridging the gap’s training workshop celebrated on June 28 in Asuncion (Paraguay). 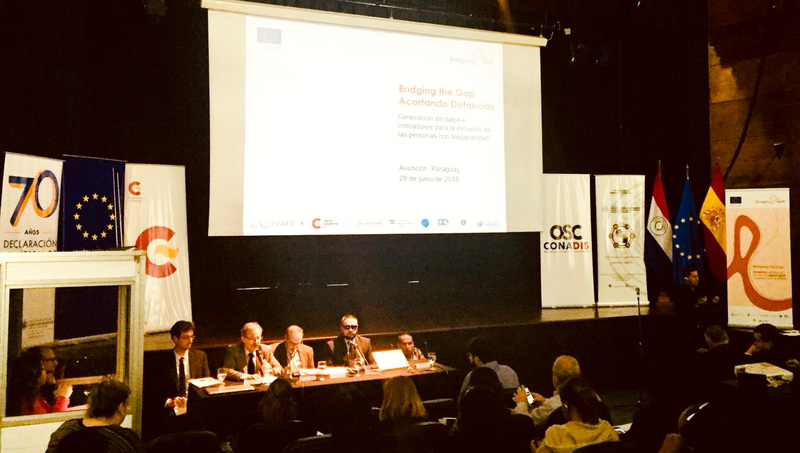 The workshop was organised in collaboration with the Spanish Agency for International Development Cooperation (AECID), implementation partner of the project in Paraguay. The workshop was inaugurated by the Minister of the National Secretariat for the Human Rights of Persons with Disabilities (SENADIS), Diego Samaniego, accompanied by the Head of Cooperation of the European Union delegation, Robert Steinlechner; the general coordinator of the Spanish Cooperation in Paraguay, Fernando Rey; and the project director of Bridging the gap, Federico Martire. The opening remarks also included the words of Mario Marecos, representative of the National Commission for the Rights of Persons with Disabilities (CONADIS), who highlighted the structural value of Bridging the gap: “today is a historic day because we are investing in public policies and inclusion, not in assistance”, he said. Throughout the day, experts in disability, data and statistics such as, among others Daniel Mont, from the Washington Group on Disability Statistics, Yolanda Barrios, from the Directorate of Social and Demographic Statistics of Paraguay, Antonio Jiménez, from the Spanish Observatory on Disability; and Catherinne Pedreros, from the Office of the United Nations High Commissioner for Human Rights (OHCHR), presented different statistical approaches to support institutions and organizations of persons with disabilities to comply with Article 31 of the Convention on the Rights of Persons with Disabilities (CRPD). “Identifying the issues is not enough, we need to look at the barriers that hinder participation” stressed Daniel Montt, while Alina Orrico, coordinator of the European project EVALUA, highlighted as “key” the mainstreaming of disability during her presentation on the institutionalization of the evaluation of public policies in Latin America. This event also served as a presentation of Bridging the gap’s action in the country, focused especially on data generation and its use to improve the inclusive policies for persons with disabilities. In Paraguay, the project supports the creation of indicators and measurable goals for the National Action Plan for the Inclusion of Persons with Disabilities 2015-2030 that will help with progress quantitative and qualitative assessment as part of a permanent monitoring process. In addition, the project will also be focused on the production of data related to the right to inclusive education in collaboration with the Ministry of Education and Science. In this regard, a pilot action for reinforcing the country’s policy will be put in place, leveraging on the improvement of the IT systems in line with Axis 11 “Right to Education” of the National Action Plan and Article 24 of the Convention.